Toyota has increased its Aygo scrappage scheme savings by £500 throughout June and has added the Yaris Hybrid to the range of models offered. Yaris Hybrid has been reintroduced to the range of models accessible through the scheme, with a customer saving of £1,500. The savings are available for cars ordered between June 1-30 and registered by September 10, 2018. Qualifying customers can take advantage of Access Toyota finance offers for their new car purchase. The scheme has had more than 7,000 orders since its launch last September, with the Aygo amounting to more than 40% of scrappage sales. Overall Toyota’s conquest sales account for around 65% of the total. 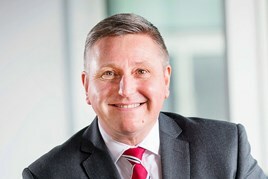 Toyota’s operations director Mark Roden (pictured) said: “The response to our scrappage initiative has been excellent, with many customers taking the opportunity to move into cleaner and more efficient Toyota hybrid electric models in place of their old petrol and diesel cars. In outline, the scrappage scheme enables owners of cars and commercial vehicles – both petrol and diesel – registered up to and including June 30, 2010 to trade in their vehicle against a qualifying new Toyota car or light commercial vehicle.